And indeed it was very good. This beautiful verdict on the creation of the cosmos is found in the book of Genesis, the great story of beginnings in the Jewish scriptures. As humanity becomes ever more dominant on the earth our need to recover our sense of the earth’s goodness becomes ever more vital. We need to recover our long-lost sense of belonging to this good earth. And if the earth and its creatures are to flourish we need to re-imagine what it means to love and care for them. We need to live tender with the earth. A new series of morning bell begins on Monday exploring these themes. 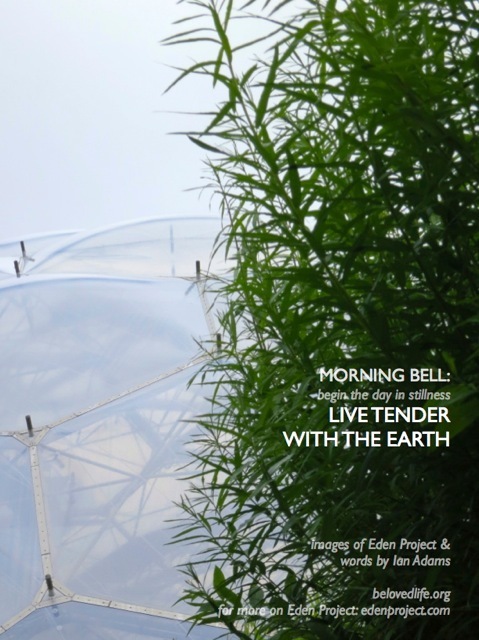 The images were taken on a recent visit we made to the Eden Project in Cornwall, a brilliant and innovative venture that encourages us to love and care for the earth. If you get the opportunity, do visit the project – you will have a brilliant day. You can also engage with Eden via the website, facebook and twitter.